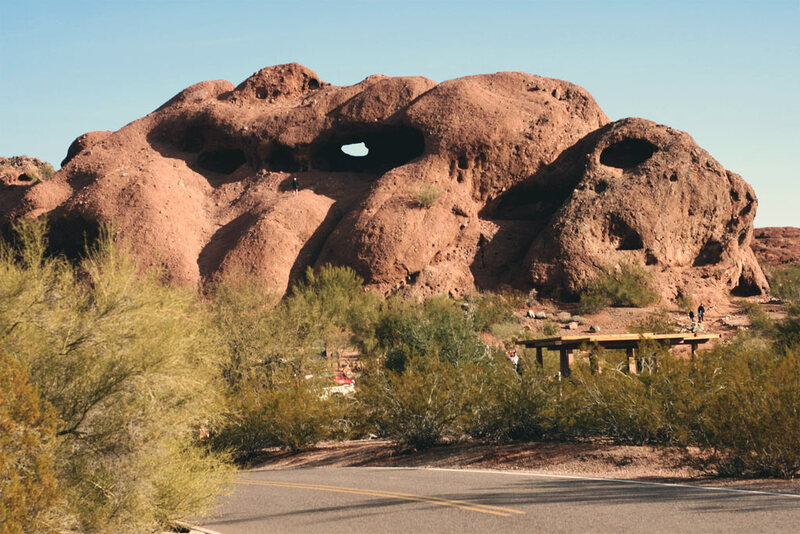 Papago Park’s offers one of the best short-hikes in the valley of the sun! It’s perfect for both kids, and adults and offers views of the entire valley, as well as good views of the Phoenix Zoo. Here’s a quick video I captured one day recently while my family from Wisconsin was visiting us in Scottsdale. We took our daughter, who was then about 1 year old, on the hike with us and it was super easy (the whole hike is about a half mile, including the trip back — it’s really not that intensive). 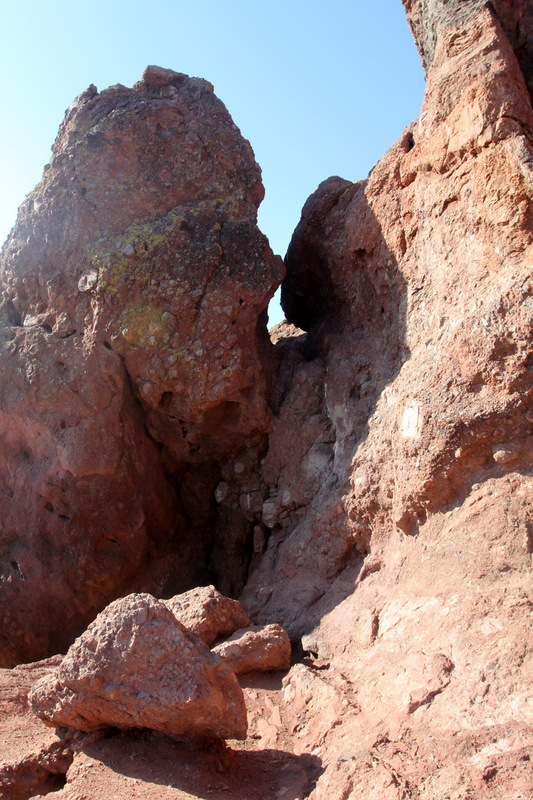 This video captures our visit to Hole In The Rock, at Papago Park, in Phoenix AZ. Update: Check out this terrific photo from the early 1900s. 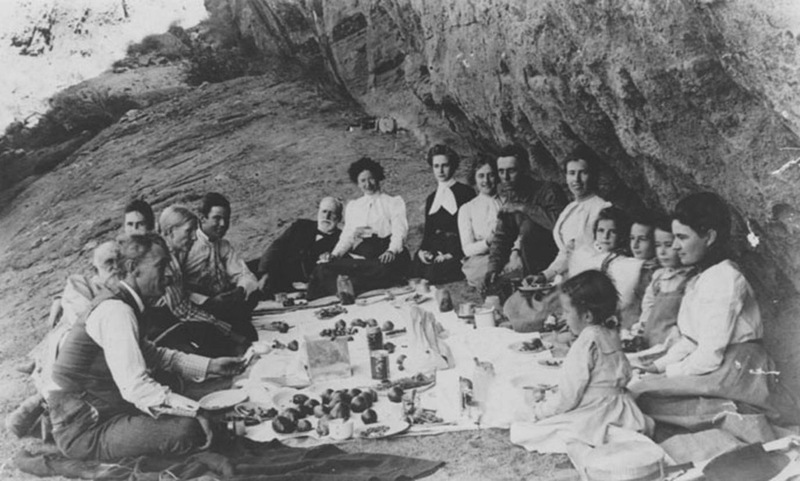 Included in the photo are Scottsdale town founder (and namesake) Chaplain Winfield Scott and other early families. Papago Park is located on the east edge of the city of Phoenix, between Tempe and Scottsdale. The park is open daily, from sunrise to sunset. It is located just north of the Phoenix Zoo, and just south of the Botanical Gardens. Take the I-17 to I-10 East (towards downtown) to 202 East (the Red Mountain Freeway). Alternate route: 51 South to 202 East. Exit at Priest Drive. Go north (left) on Priest, which becomes Galvin Parkway. Turn right at the first light north of Van Buren into Papago Park. Take the 101 Loop South to 202 West. Then exit at Priest Drive. Drive north (right) on Priest, which will become Galvin Parkway. Turn right at the first light north of Van Buren into Papago Park. Take I-10 West to 143 North. Then exit to 202 East, and exit immediately to Priest Drive. Go north (left) on Priest, which becomes Galvin Parkway. Turn right at the first light north of Van Buren into Papago Park. Take I-10 East (downtown) to 202 East. Exit at Priest Drive. Go north (left) on Priest, which becomes Galvin Parkway. Turn right at the first light north of Van Buren into Papago Park. Exit to 202 East, and exit immediately to Priest Drive. Go north (left) on Priest, which becomes Galvin Parkway. Turn right at the first light north of Van Buren into Papago Park. Here’s a video of Papago Park and Hole In The Rock from the air, taken with a drone. Hole In The Rock is an excellent spot for photographs. I’ve taken many portrait and family photos here and I’ve always been impressed with the variety of backdrops.